.. at $3.99 for Triple Ginger Snaps, it doesn’t seem that you can go wrong … this is a Trader Joe’s product that is configured correctly, priced right, conveniently available and positioned as part of a related broader mix of products (how about Dark Chocolate Covered Caramels at $3.99?). Product attributes are one element that need to be considered in business data analytics. Business Data Analytics can help any business more effectively reach goals and objectives. Whether a new or established business, serving a county or national market, similar tools and methods apply. 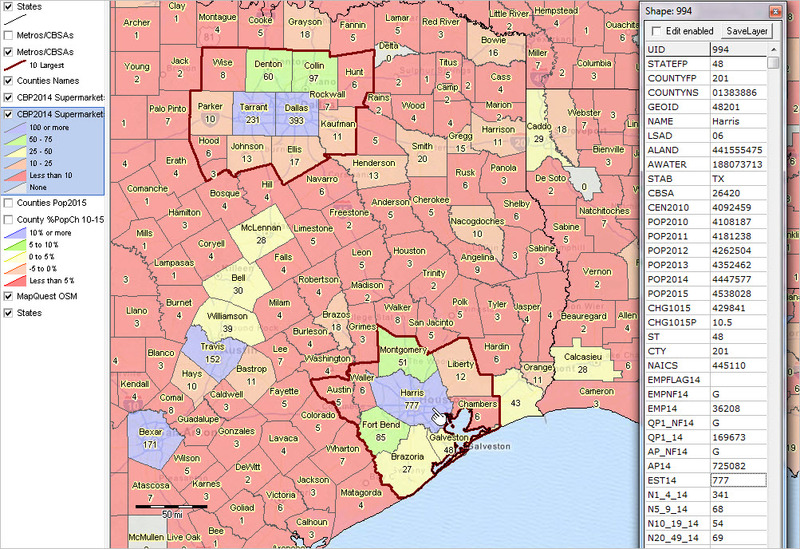 This section illustrates GIS views taken from the associated GIS project and datasets. These analytical depictions can be developed for any organization and facilitate strategic planning and decision-making. 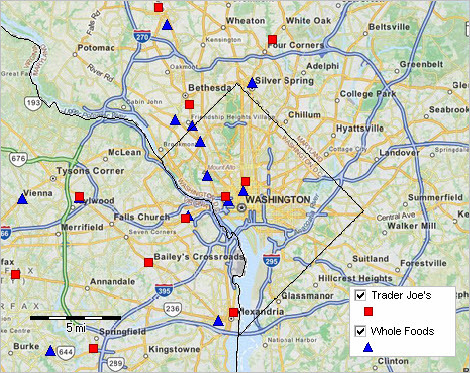 Here we take a look at Trader Joe’s and Whole Foods stores in context of GIS analyses and market characteristics. 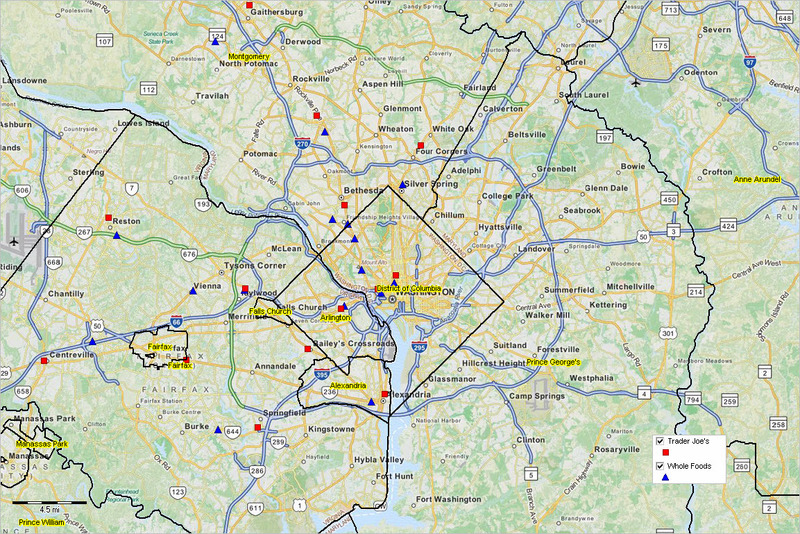 The following graphic shows Trader Joe’s and Whole Foods locations in the Washington, DC area. — click graphic for larger showing details. How do the competitive relationships look on a national scale? See the comparison graphics below. 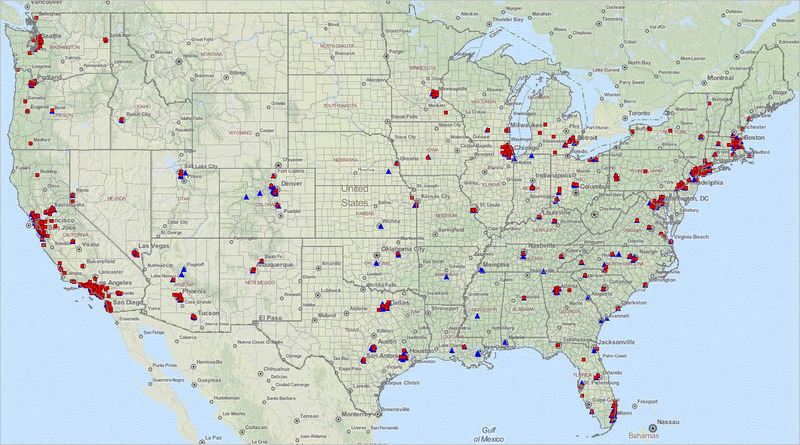 Using GIS project and tools, show the Trader Joe’s location above the Whole Foods layer — or vice-versa. Using the GIS project and tools, zoom into any location. 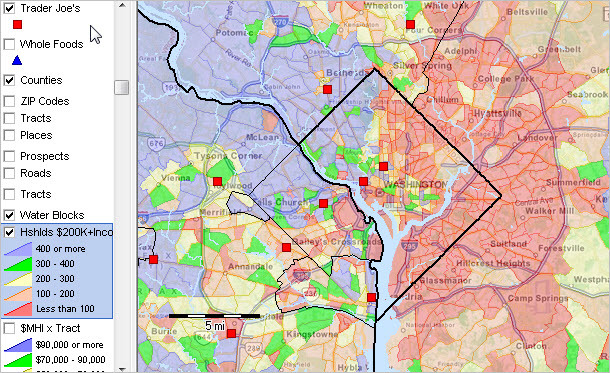 Back to the DC area … the following graphic shows patterns of the number of households by tract with a household income of $200,000 or more. The number of households having $200,000 and higher household income intervals/color correspondence shown in legend at left of the map. 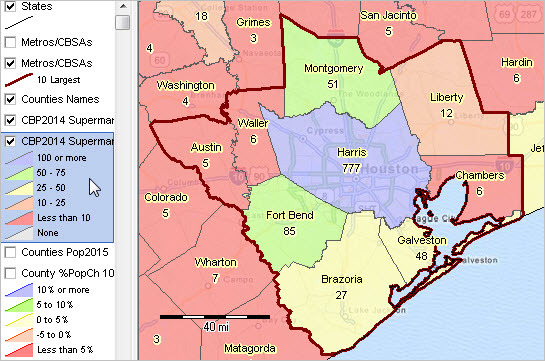 Using GIS data and tools, ranges can be customized/shifted to suit. Similarly, the number of households by different income levels can be set. Select from hundreds of relevant subject matter items. Join me at the upcoming Business Data Analytics Workshop to be held in Alexandria, VA on December 1, 2015. Get experience with computer hands-on data and data analytics tools and methods. Network with peers having similar interests. Register here.